Writer : Tim Herlihy, Paul Sado, Adam Sandler, Dan Bulla. Production Company : Happy Madison Productions, NetFlix. Do not miss to Watch movie Sandy Wexler (2017) Online for free with your family. only 2 step you can Watch or download this movie with high quality video. Come and join us! because very much movie can you watch free streaming. 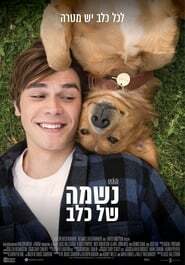 ‘Sandy Wexler’ is a movie genre Comedy, was released in April 14, 2017. Steven Brill was directed this movie and starring by Adam Sandler. 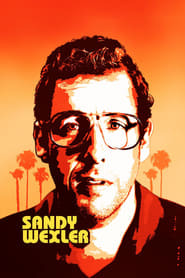 This movie tell story about Sandy Wexler (Adam Sandler) is a talent manager working in Los Angeles in the 1990s, diligently representing a group of eccentric clients on the fringes of show business. His single minded devotion is put to the test when he falls in love with his newest client, Courtney Clarke, a tremendously talented singer who he discovers at an amusement park. Over the course of a decade, the two of them play out a star-crossed love story. It is easy to quickly recognize the beauty of the Mamoni landscape. Multiple hill tops spread across the landscape were visible from the road to Mamoni Arriba. The surprise I felt laid in the fact that these hills and mountains were fully covered with jungle and not cattle pastures. These days, mountain tops covered with jungle are rare sights in the Panamanian country side, but not in Mamoni. I felt proud and content to be part of this journey into the Mamoni Valley. I parted from Panamá city early in the morning towards the North East into Mamoni Arriba. My objective was to meet the local people and understand the landscape so that I could plan a longer visit. Luckily for me, I was accompanied by Roland who was born in Mamoni and has been working for Earth Train for many years. I was also accompanied by Carlos Andrés who is a Panamanian lawyer that works for Earth Train and has spent valuable time working in the valley. I had been warned about the access road to Mamoni Arriba because during the rainy season it becomes difficult to ride. However, Rolando’s driving skills did the trick and got us to Mamoni Arriba in no time. The landscape going down the road and into the Mamoni valley was truly amazing. The valley per say was mostly covered by pasture land. In the background I could see the mountains that surround the valley and that are shared with the Chagres National Park and the Comarca of Kuna Yala. 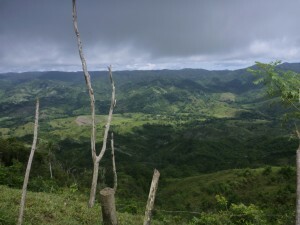 The forest that lies on these mountains is what we in ecoReserve are working to protect. I was imagining myself crossing the mountains to Kuna Yala when Rolando decided to stop at “el filo”. El “filo” is the spot with the highest altitude on the road to Mamoni Arriba. Rolando showed me the Caribbean towards the North. I knew it was the Caribbean because I could clearly see the islands that are part of Kuna Yala. I’ve never visited these islands but now I can say that I’ve seen them from a distance. Once we made it to Mamoni Arriba we met with Arsenio. Arsenio is a very funny man and with a lot of energy. I wanted him to take me to the forest, to a very “specific spot”! Since I had never been in the valley the only way I could explain to him where I wanted to go was by showing him an aerial photography of Mamoni Arriba. In somewhat of a silly manner he told me that, “he couldn’t understand the image because the highest altitude he had ever seen his house from was 14 meters”. I immediately thought to myself how I had felt the same way the first time I looked for my house on Google earth. I started laughing. We spend quite sometime figuring out a way to reach the “specific spot” that I wanted to visit. We figured out our starting point for my next visit. 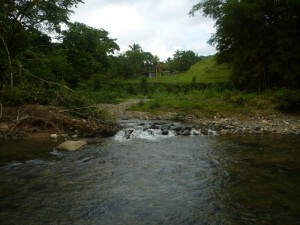 The starting point will be where the Espavé stream connects with the Mamoní River. I met with many more people and got a very good feeling for the site. Join in the fun! Toss out a few ideas for an ecoReserve tagline.Just for submitting any idea at all you’ll be automatically entered into a random drawing to win a $25 ecoreserve once we launch. If we choose your tagline you’ll win a $100 ecoreserve. Dream up fun, hip, taglines that describe what ecoReserve does and inspire people to take action.Taglines should be short, punchy, memorable and inspiring,something both a kindergartner and CEO would aspire to! •	Have you created a nature reserve today? 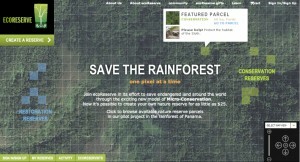 •	Save the rainforest one pixel at a time. •	Save the world 50 square yards at a time. •	Micro-conservation: Everyone can do it! •	Name It. Visit It. Share It With Friends. Please type your tagline ideas into the blog (no limit).We will be taking entries until we launch. PRIZES! PRIZES! FAME & GLORY! 1) Random Drawing Just for Entering – Anyone who submits a tagline idea will automatically be entered into a random drawing for a $25 living-room size nature reserve once we launch. 2) Tagline Winner – If we actually decide to use one of the submitted taglines, your prize will be a $100 ecoreserve plus lots of fame and glory! The winner(s) will be announced via this blog, Facebook, and Twitter prior to launch.Please stay tuned! ecoReserve Alpha Site is Launched! Beta Up Next! We’re pleased to announce that we now have an alpha version of the ecoReserve website! This is a private site that we’re testing internally but here’s a screenshot of what the *real* Panamanian rainforest looks like! On the alpha site, you can see all of the available conservation and restoration reserve parcels in the Panamanian rainforest that you’ll help to protect. You can click on the interactive map to adopt your own nature reserve, and your personalized ecoReserve page will display your profile, a portfolio of parcels that you’ve adopted, multimedia content that you’ve uploaded, and messages from your friends. Over the next few weeks, we’ll be refining the alpha site and adding features. We are now in the final push to launch the public Beta version of the website in the next few weeks. We will be refining the alpha site and adding several exciting social networking features that will enable micro-conservation to spread rapidly among friends. We are almost there but we need to raise an additional $20,000 in the next few weeks to launch the site. If just 200 friends like you donate $100 today, we’ll make our goal within 24 hours. Would you please be one of those 200 friends? If you donate any amount before our Beta launch, you will become one of our Founding Donors honored on the Wall of Fame, and you’ll secure a respected place in ecoReserve’s startup history. Thank you for your good wishes and support this year. We couldn’t do it without you! If you’re on Facebook, click here to donate throughCauses. If you’re not on Facebook, click here to donate through Givezooks. 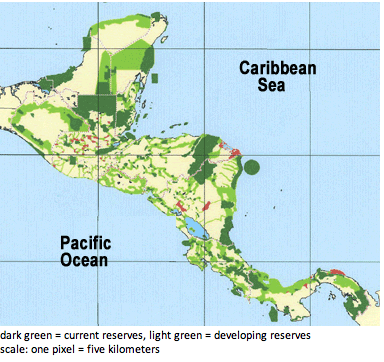 The Mesoamerican Biological Corridor – What is it, why is it significant? The Mesoamerican Biological Corridor – What is it and why is it significant? 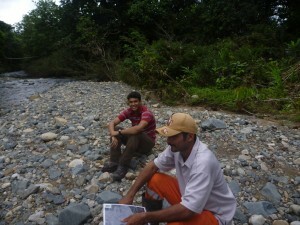 The ecoReserve project in Panama is located within the Mesoamerican Biological Corridor, which is also known as the Jaguar Trail or Path of the Panther. We thought we’d take a moment to talk about why this is significant. First, what is a biological corridor (also known as wildlife corridor)? A wildlife corridor is a route comprising a continuous, or nearly continuous, stretch of open land, woodland or water, which facilitates the movement of wildlife species, the aim of which is to prevent the genetic isolation of wildlife populations. 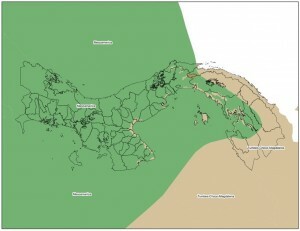 The Mesoamerican Biological Corridor, specifically, is a large habitat corridor in , stretching from southeastward through most of Central America, connecting several national parks. It was started in 1998 to keep 106 critically endangered species from going extinct. Mesoamerica is made up of the five southern states of Mexico and the Central American countries of Guatemala, Belize, El Salvador, Honduras, Nicaragua, Costa Rica, and Panama. These governments agreed to coordinate their efforts to encourage a huge system of interconnected parks, reserves and wildlife corridors that literally link North America to South America. ecoReserve will be adding one additional reserve to this system. The Mesoamerican region is very large and covers 768,990 square kilometers. 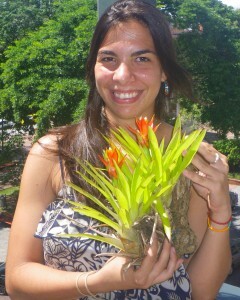 It includes lowland rainforests, pine savannas, semi-arid woodlands, grasslands, high mountain forests, and coral reefs. Although the region contains only 0.5 percent of the world’s land surface, Mesoamerica is home about 7 percent of the earth’s biological diversity. In recent decades, Mesoamerica has seen some of the highest deforestation rates in the world; between 1980 and 1990, deforestation averaged 1.4 percent annually, and it is estimated that 80 percent of the area’s original habitat has been cleared or severely modified. More than half of Mesoamerica’s forests have been lost and approximately 90 percent of its primary or “frontier” forests have been logged, converted to agriculture, or replaced with tree plantations. Wildlife corridors become especially important in the face of human activities such as roads, development, or logging that may bisect the routes that animals normally traverse. Animal movement allows an exchange of individuals between populations, which may help prevent the negative effects of inbreeding and reduced genetic diversity that often occur within isolated populations. 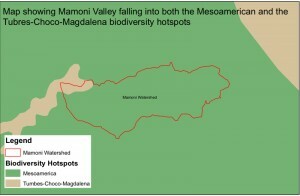 In the Mamoni Valley, where the ecoReserve project will be located, the wildlife corridor has been partially degraded by logging and cattle-ranching which has turned primary forest into pastures or barren dirt. Animals are reluctant to traverse these open areas because it makes them vulnerable to predators. ecoReserve will be reforesting and restoring degraded land and protecting primary rainforest that still exists within the Mamoni Valley. The ecoReserve reserve will also provide a buffer zone for the protected primary rainforest land of the indigenous Kuna that is still intact. We are looking forward to providing one more link in the chain of reserves that protect the famed Jaguar Trail. 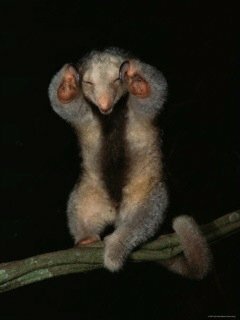 Our junior researcher says: “These cuddly critters are related to raccoons, have 5in. tongues, and prehensile tails. Their diet consists of honey, nectar, fruit pulp, and insects. 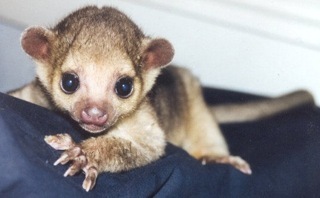 How important is it to protect the Kinkajou, an endangered animal, in Madroño, our reserve in Panama, where they are found living in the wild? We think very important and hope you do to. Thanks to Planet Green and Jaymi Heimbuch. “A few years ago, Kiva changed the way we think about financing by creating micro-financing – small loans made to small businesses. Then more recently we heard about Janta Foundation taking the idea a step further and applying it to scholarships to get underprivileged kids through school. Now, there’s a new organization taking the idea of small steps a big step further. 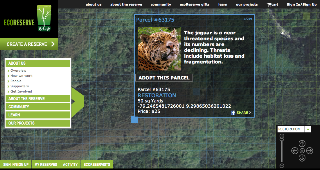 ecoReserve is moving us towards micro-conservation. Read the rest of the article at Planet Green.